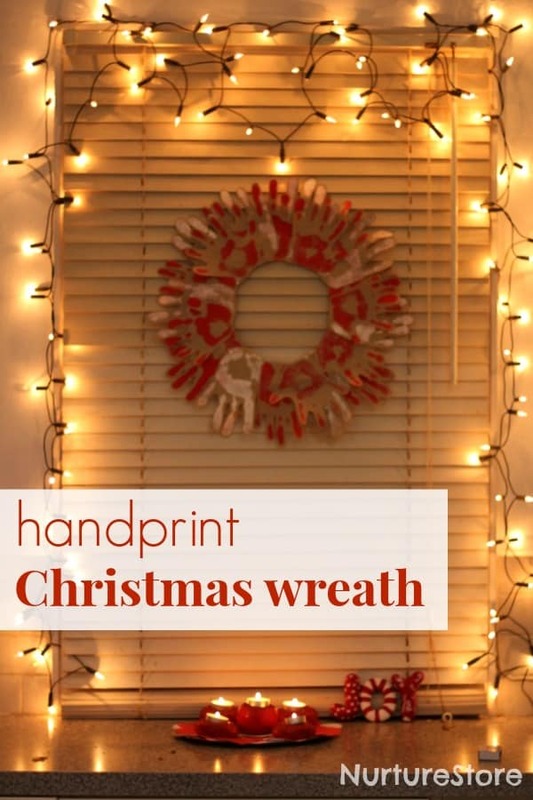 This handprint Christmas wreath is easy to make and oh so festive! 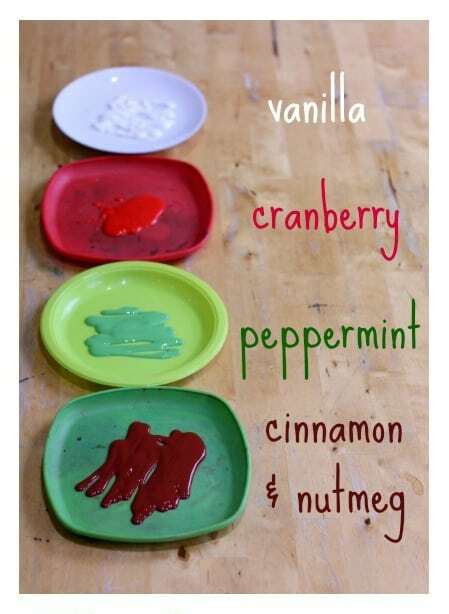 Remember the scented Christmas paints we used to make our homemade Advent calendar? We couldn’t resist getting our hands in! 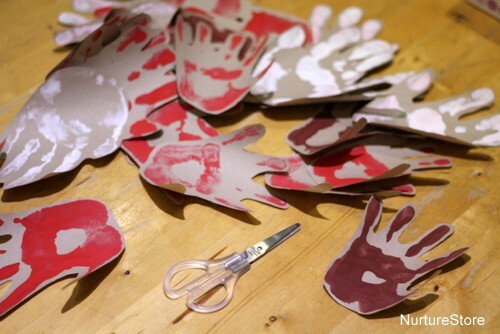 We used a roll of brown paper to stamp out lots of colourful handprints. The whole family joined in, all except for the cat ~ although my daughter was quite keen on that! Then we cut them out, so we had lots of prints in a variety of sizes from little sister right the way through to daddy-size. To make our Christmas wreath, we drew round a dinner plate on some card, then drew round a side plate in the centre, to give us our ring. 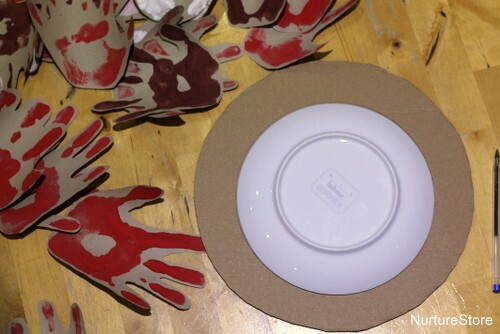 We covered the cardboard ring in glue and started to place the handprints on. You can use a variety of colours, or stick with red and white. Be as random or as meticulous with your pattern as you like. 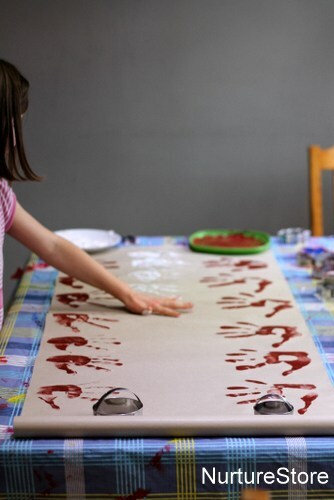 You might like to use the adult-sized handprints around the outer edge, then fill in the centre with some over-lapping child-sized prints. 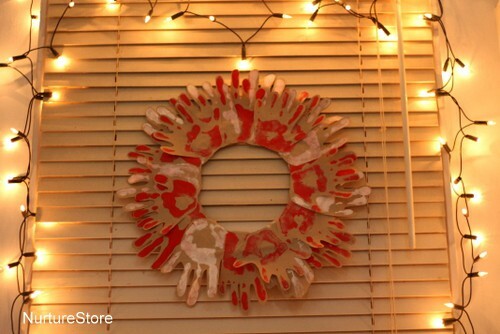 We filled the whole circle, added a ribbon at the back, and our easy handprint Christmas wreath is ready to hang. hi I have been on your website few times and keep coming back again and again. 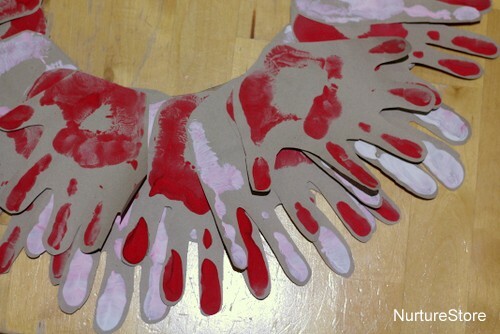 there are really lots of wonderful ideas to do with kids. 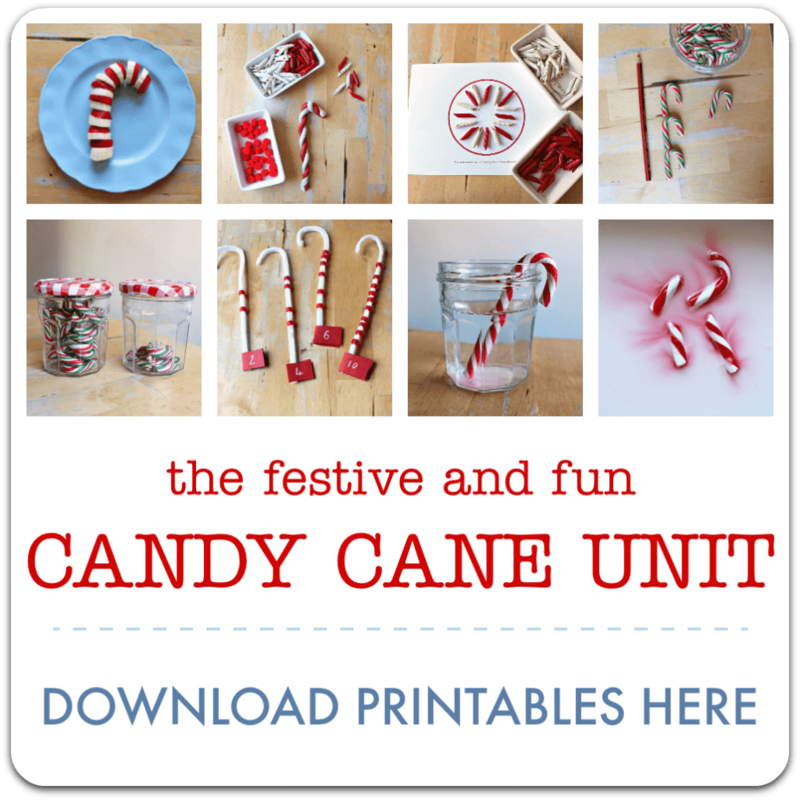 I really liked the ’45 fun Christmas fun art and crafts’ and made some cards with my children. I came across a website called artbeez where one can share, sell kids artwork and also raise money for charity which i found very unique so thought of sharing with you. I love how you used the scented paints for the wreath! 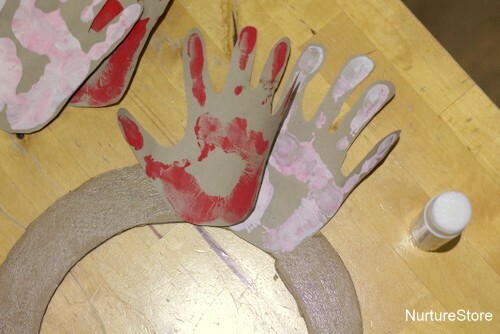 We also painted and cut out hand prints to make wreaths at our house!